Kathleen is a certified Level 2 Instructor in Precious Metal Clay, an exciting and relatively new product of 100% pure recycled silver in an organic binder. When fired in a kiln, the binder burns off leaving pure silver in whatever form you created—a ring, brooch, or even small sculpture. The remarkable plasticity of the product makes it possible to create jewelry pieces that would be impossible to duplicate using other methods of construction. Because it requires no soldering, it is a perfect medium for beginners as well as experienced jewelers. Kathleen teaches PMC classes from her studio, or can arrange private or group classes at your location. 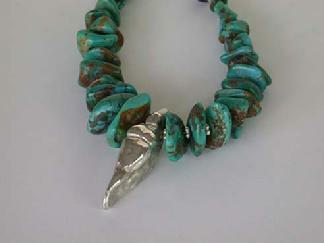 In as little as three hours participants can design and finish a piece of jewelry and wear it home. PMC classes are suitable for ages 10 and older and can be incorporated into, parties, conferences, or weekend retreats, or even Girl Scout meetings. Workshops can be designed to include other jewelry-making methods such as enameling, wire wrapping, and beading. One of the most popular workshops Kathleen teaches incorporates the use of religious icons into the design of fine art jewelry. 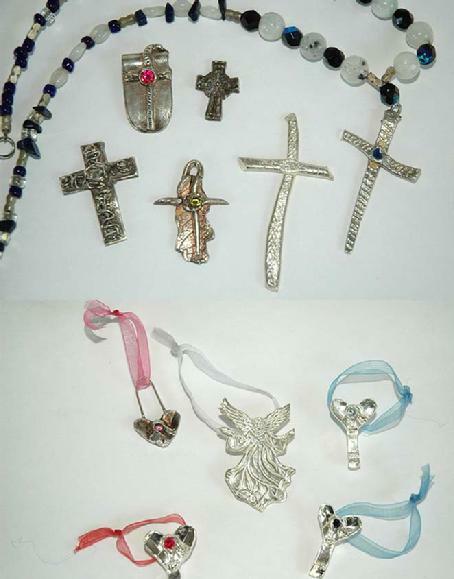 From angels to crosses, participants can create a meaningful statement of their faith in silver for themselves or as a gift. This is a fun 1-day workshop for churches or retreats. Participants will receive instruction, and materials to complete at least two pieces of jewelry. The cost is $95 per person, with a minimum of six participants. The 5-hour workshop, with a break for lunch, is suitable for adults and children ages 10 and older.